It goes without saying that for a six month winter crossing of Antarctica, one has to study carefuly all the clothing possibilities that are availbale on the market today. The Coldest Journey' website says : "... 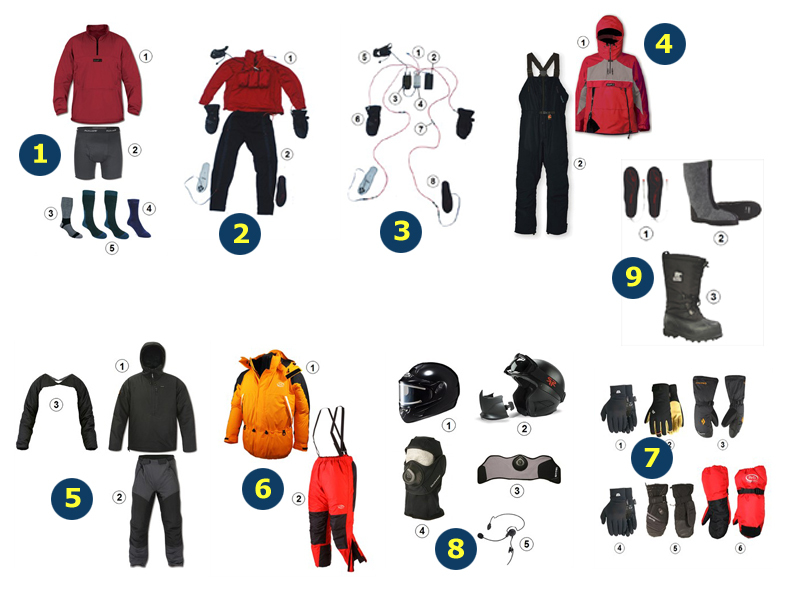 There is a huge amount of high-tech clothing options available on the market nowadays, and before we could settle on the best combinations of inner and outer gear for comfort, fit and function at variable work rates during the expedition we had to carry out extensive testing in the lab, cold chambers and in the field. To find out more about how the kit was selected, check out our Preparations and Training section. ... "